Weeks Six/Seven: Homemade Butter, Pickles and Jam, Oh My! 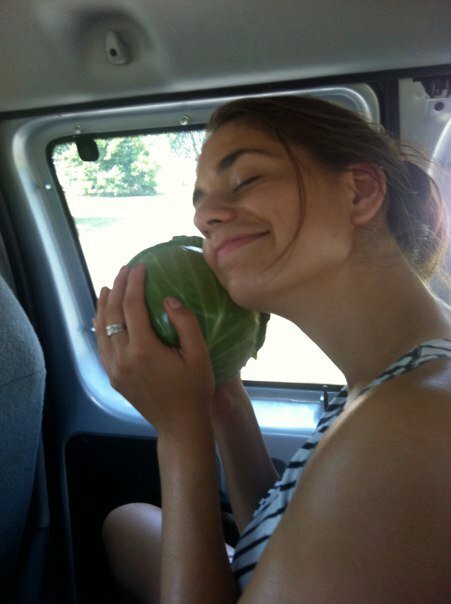 Week Six was wonderful, and I had another exciting week of farm visits. I was mostly in Schoharie County and it is one of the most gorgeous places I have driven though. I have included highlights from my visits this week. 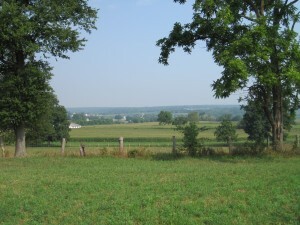 I visited Buck Hill Farm in Schoharie County which was such a lovely place. 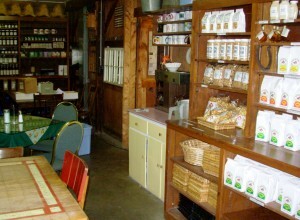 They have a whole farm store and a dining area where they have breakfasts a few times a week. The store was stocked full of homemade goods, jams, candies, pickles, and of course Maple Syrup. 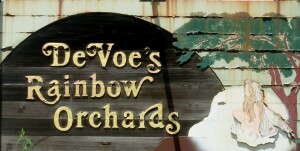 I had a really wonderful visit there and I highly recommend the Raspberry Jam. I wish that I had more time to chat with some of the farmers. It was really a wonderful visit and I feel like I totally could have stayed for hours. 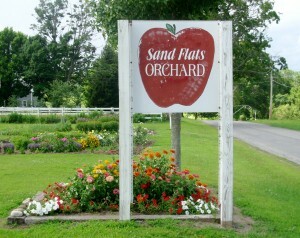 This week I also visited Sand Flats Orchard and had a really wonderful time doing my interview there. They have a beautiful operation, and two very sweet dogs who greeted me happily. 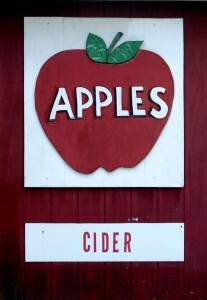 It made me very excited for the apple season in the fall and I can just smell the cider doughnuts and cider already! 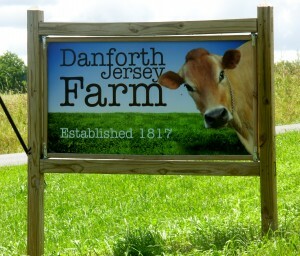 I also visited Cowbella Fine Farmstead Dairy which is also Danforth Jersey Farm. They have gorgeous Jersey’s there and the little ones were so cute! I got to meet most of the family, and see them making butter and packaging it. It is seriously the best butter I have ever had. It is very similar to Irish butter that I remember having at my family’s houses in Ireland. So rich and delicious! They sent me home with some of the fresh batch of butter and even a whole quart of their homemade yogurt! They also have a wonderful logo. My seventh week of work was not the best. I was in a car accident (I am totally fine) and now I am figuring out how to work without a car. I am back on track and trying to get as much as I can done from home. I have transitioned to doing phone interviews, and I am still making good headway. I made it to 50 surveys which feels like a great accomplishment. There are a lot of people who have also done the online version of the survey on Survey Monkey which adds more to my total number! I am still hoping to get 100 by the end of the internship, so wish me good luck! Just went to a interesting briefing on the corn genome and the future of corn research. Mostly it reinforced my beliefs that the future of the worlds fuel supply will have to be from a constantly developing agriculture. We will have to change adapt to keep up with yield needs and the needs of a growing world. 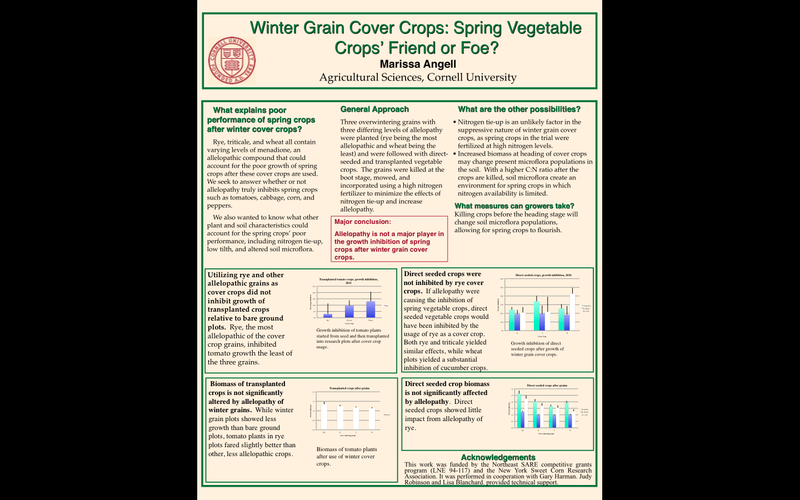 The big issue with plant research is the benefits are not instant they take almost a decade to see depending on the relative speed of the crops growth cycle. This means that R and D for plant and ag research is a huge investment in the future. Some people would say the future is in sustainable agriculture and with that they apply that this is in a small farm organic system. This may be true for consumers that can afford the high cost that comes with organic food markets. However for the majority of the populace we will have to really on low impact conventional agriculture to feed the world a purely organic arlum system will not be effective we need to combine traditional breeding practices and gene modifications to continue to improve out yield per acre considering land will become less and less plentiful. As with any new technology there is risk but there are enough controls that we can verify its safety and impact. Some people would say that we are restricting our gene banks by limiting the diversity of plants but in actuality we are creating new diversity as we breed new plants and we also have a USDA program that is a literal Noah’s arc of germplasm for many commercial plants that we grow today. The reason that the government has so much influence on the research and protection of ag species is because it is long term has little profit potential in it starting stages making it difficult to be supported by the private market place. The debt crisis everyone one is talking about it. In reality it will affect us all drastically in some way as students and as future agricultural leaders. Being behind the scenes while all this is going down is exciting and confusing. You see there are two sides of the debate one saying we need to cut and balance our budget stopping the spending of our money that doesn’t exist. This is more of the small business look at the government saying if we don’t have it we can’t spend it. On the other hand there is the idea that we can’t cut things Americans are used to and that once the economy stabilizes it will fix and we need a more timely approach to fixing it. The issue is we are currently standing still, to me that the answer seems obvious. You can’t continue to run a country on debt it won’t last. You have to look at this from a purely business situation. For example you can’t run any successful business for ten years without any profit. I feel we need to look at the Government the same way the American government is living beyond it means. We see on the news everyday families living on credit cards and then losing it all. We are at this point our government is living on credit. It seems to me that working here you get a mix of views. Some middle ground Americans would say we need a compromise that has been tried and did not pass through the senate. The debt ceiling cannot keep rising somehow we have to slow it down to a stop this is not going to happen through more spending. I cant believe that balancing the budget and reducing our debt is a controversial issue. I have a bit of back tracking to do in this first post. 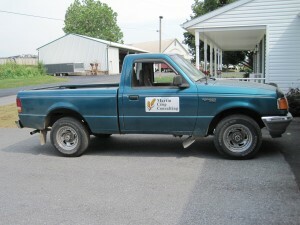 I have been working for a crop consultant in Lancaster county, PA since summer started. My first month or so working/interning was rather repetitious but rewarding. The first challenge I ran into was working around Cornell’s late spring schedule. Fortunately, Lancaster had a rather late spring this year due to all the rain but I still went home during study week which gave me a chance to get some preliminary training before planting season was in full swing. Once I was home for the summer my boss and I traveled around to farms together for the first week and then he sent me out on my own. May and June are pretty crazy months for crop consultants as all the corn (hopefully) is being planted and needs to be checked for weeds and overall health at least twice before it reaches 4 feet in height. Essentially, this first month consisted of me working 12 hour days, driving around Lancaster county in my little Ford Ranger and walking through corn fields. During my week of training my boss showed me how to take corn populations and quizzed me on the different types of weeds and bugs/worms we were seeing in the fields. Taking corn populations is quite simple and I enjoyed learning to identify weeds. I’ve had to memorize about 15-20 common weed species, this includes both broad leaf weeds and grasses. The most challenging part of this was learning to differentiate between weeds in the seedling stage but after about a week on my own I felt pretty comfortable with the material. I’ll give a quick overview of what an average day my first month looked like. 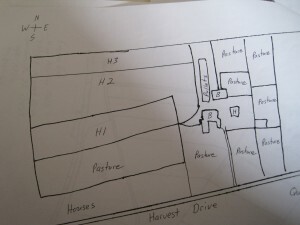 My boss gave me several farm files each containing a map of all the fields farmed by a particular farmer and what was planted in those fields the past four years. I would then go to each corn field and walk through it in a sort of zig zag pattern. 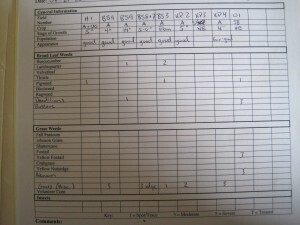 My main responsibility was to identify what weeds and/or bugs were present and how severe they were. I also observed the corn for any abnormalities but my boss usually double checked the quality of the corn. 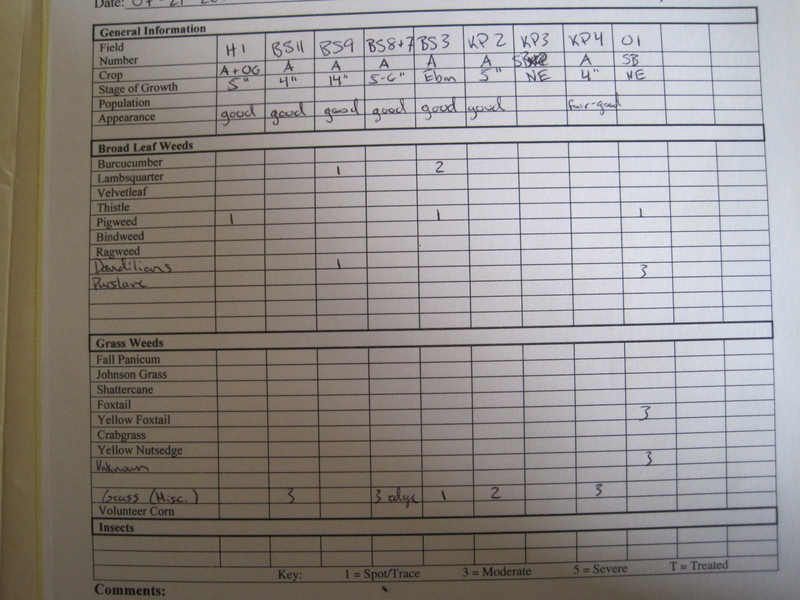 I then gave what I found to my boss and he wrote up a recommendation (usually pesticide recommendations) for the farmer. An example of the maps I've been using this summer. The form I fill out as I scout fields. The job can be a bit monotonous at times but there have been a few interesting cases that involved some agronomic forensics. 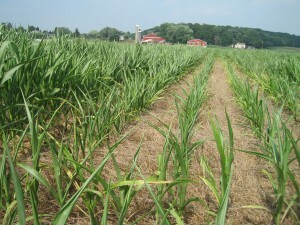 For example, one of the farms I was at had 3 corn fields with some unusually purple colored corn in spots. I had seen purple tinted corn at other farms and was told that the coloration was due to stress and the variety of corn planted but this corn was a deeper purple than I had seen before. I let my boss know and he agreed that it didn’t look normal and some time later this corn was completely dead. It turned out that the business beside this farm had sprayed their gravel parking lot with a mixture designed to kill plants. Unfortunately, it rained shortly after the parking lot was sprayed and this mixture was washed into the cornfields, killing all the corn it came into contact with. This farmer didn't kill his cover crop on time causing much of his corn to be severely stunted. Things have calmed down a bit now that the corn has gotten too tall to apply pesticides. We’re now focusing more on alfalfa and soybeans but I’ll cover that in the next post. During the first week of the internship, the Cornell group went around the different divisions of ZZ2 and were able to appreciate the size of the operation. This week was very busy! The cattle division, shown to us by Albert Noffke, holds an impressive amount of breeding bulls and cows that include pinzgauer, santa gertrudis, Nguni, and their own breed: pinzyl. I have also had the pleasure to see and talk about their onion, avocado and tomato production. ZZ2 is known for their tomato production and are the largest tomato growers in Africa. 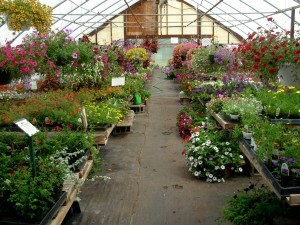 The visited pack houses, greenhouses, and will go to netting houses later. We have also been allowed in their everyday meetings. With this information, we are to revise our projects and amend them since we now have a higher grasp of the company. 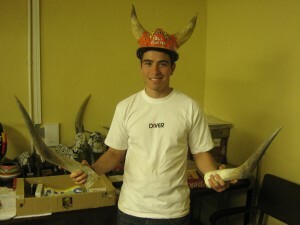 Next week we will start our projects. My project in particular deals with the history of transition from chemical agriculture to an integrated farming approach of chemical and natural farming coined Natuurboerdery. 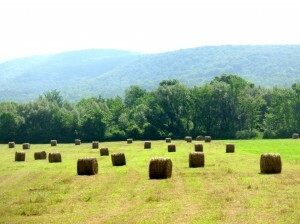 Round bales on the drive out in Washington County. My task for the rest of this internship this summer is to get as many surveys done as possible, ideally around 150. It is really nice to just have one main thing to focus on and just do it! So far I have gotten 30 surveys done, and it feels like a great accomplishment! Though it has been a ton of driving (over 4,000 miles so far) I am getting to see so many new places in NY state, and I get to listen to Harry Potter on tape which helps the driving time go by. Despite all the driving, it has been really wonderful to meet so many farmers, I think talking to people has been my favorite part so far, besides seeing so many diverse farms. 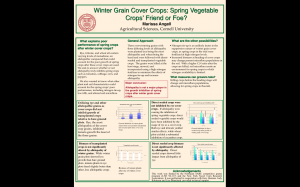 I have had some very interesting and exciting conversations with people about the weather, about having more people grow their own food, about soil science, and more. I talked with a farmer about the idea of a farm family for a while, they felt that it was important to look not only at the owners, but the whole farm family. The idea that the owners and their family, all the workers, and consultants, and everyone involved in the operation was a part of a big family. This farm is trying to support the local population and provide them an opportunity to participate in agriculture. It has also been neat to hear about how people started farming, how they got involved, or just how long some farms have been in the family for! This Orchard had a fabulous farm store, with delicious baked goods (I highly reccomend the sugar cookies with raspberry in the middle) and they even had a small ice cream shop! I have gotten to see orchards, beef operations, a Christmas tree farm, a maple syrup operation, greenhouses and nurseries, dairy farms, vegetable and fruit farms, of all different sizes! I am trying to focus week by week on a few different Counties, so I have blocked out times to be in each area. So I once I block out a few days in one county, then a few days in another for the week, I then go ahead and try to fill in each day with interviews. I have found that calling a week in advance is too far ahead, and calling a day before is too late, 2-3 days before seems to be best so people can try to anticipate their schedules. 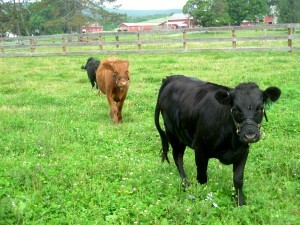 This week I got to see a small grass-fed beef farm, with gorgeous red barns and very happy looking animals. 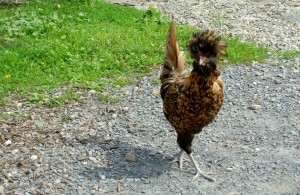 They also had some pretty awesome chickens. Some lovely Dexer lady cows. The most challenging part of this internship so far has been setting up the interviews. I am calling people during the busiest time of year, so its key to get right to the point and be respectfully persistent. A few people have been very much against doing the survey, and they were appalled that we were even trying to do something like this during the summer. This is certainly the worst time to be asking farmers to do a survey, but it is what it is, and I gotta keep on trying! Some people have been very happy to participate, and about three people even opened up the letter and filled out the survey on their own! Generally, most people are so busy, that they have not gotten to glance at the letters we sent out, but with some persuasion, most people are happy to set up an interview. I have certainly learned good phone etiquette during this past week; making cold calls is hard! It is important to introduce yourself, explain very briefly what you are doing and the purpose, enough so they know whats up. The key is not taking up too much of their time, and then politely asking if they have about thirty minutes free on so and so days when I will be in so and so county to go through the survey. I learned the hard way no to schedule the interviews too close to each other. First there is just the variety in the amount of time it takes to go through the survey, then the time just chatting, then there is the distance from farm to farm I have to think about, plus because it is summer there is a lot of construction with unexpected delays. It seems that so far the right amount of interviews is 4 or 5 per day. 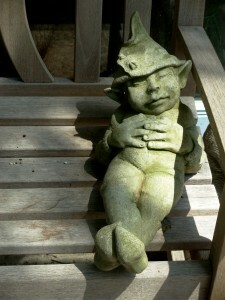 This very cute garden gnome exemplifies how I have been trying to spend my weekends after my sometimes crazy weeks.